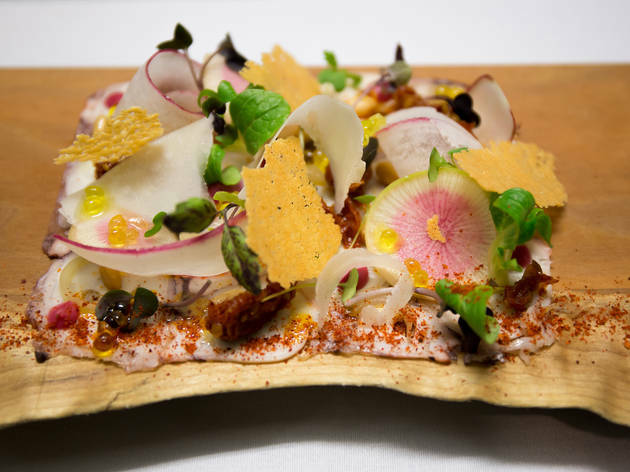 Bright and breezy and bursting with alegría de vivir, Ataula embodies the prodigious talent and energy of the team of young guns behind it—starting with second-generation chef José Chesa, whose menu reveals both his native-born fluency in Spanish cuisine and the locavore sensibilities of his adopted hometown. Between such signatures as the creamiest of salt-cod fritters and xuixos (a sort of custard-filled cross between xurros, aka churros, and sfogliatelle) is a seasonal bounty of delightful surprises: funky house-preserved tuna and mushrooms with pickled onions; braised-oxtail ravioli brightened by piquillos, sunchokes and caramelized pineapple; and, if you’re lucky, the off-menu cult favorite of croquettes stuffed with true jamón ibérico. Craft cocktails showcase cool Spanish spirits, fortified wines and liqueurs, while Basque cider’s a neat alternative treat. 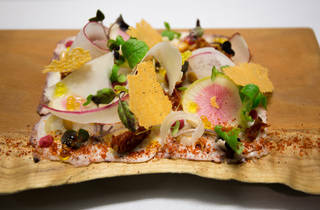 With wife Cristina Baéz and their partner Emily Metivier, Chesa has parlayed his success into two hot new projects—the sleeker, more upscale Chesa and a xurreria called 180—but Portlanders aren’t about to stop heeding the call to feast that Ataula literally emits (the name paraphrases as “come to the table”). 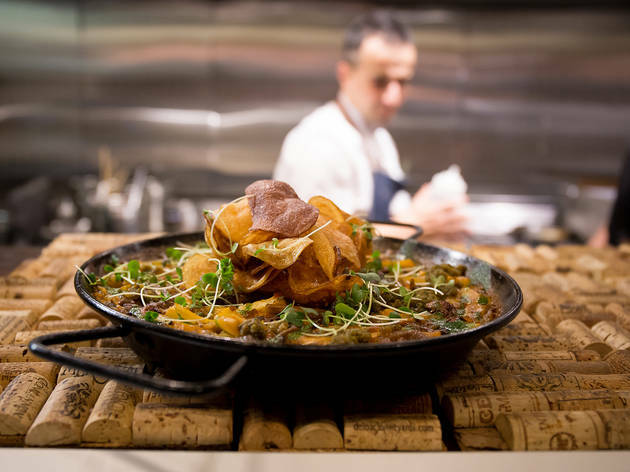 A tapas-centric style restaurant with a modern and welcoming atmosphere that transports you to the rich and ever-­evolving culture of 'tapeo'. 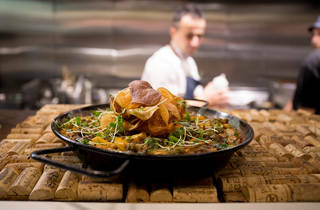 Ataula’s all embracing menu by Chef Chesa will feature regional specialties from different areas of Spain.